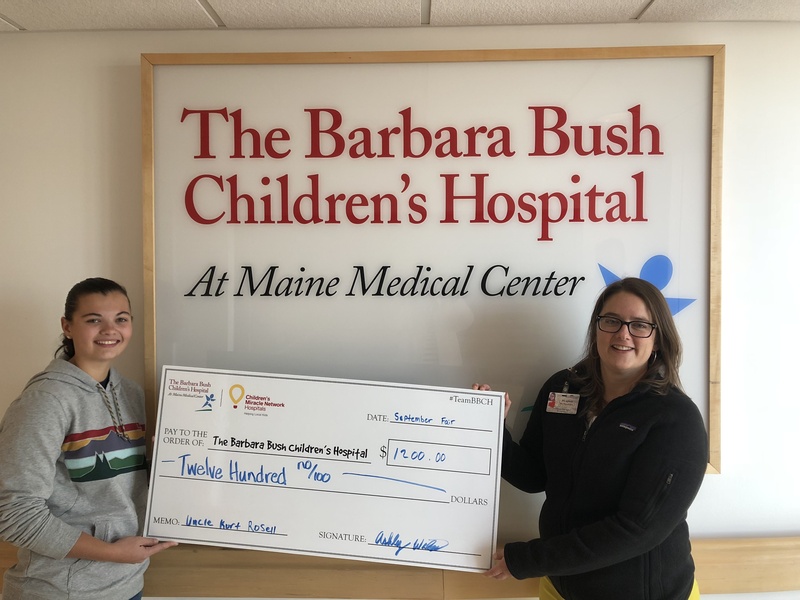 PORTLAND - Ashley Wiles presented a check to the Barbara Bush Children's Hospital for $1,200 recently, having raised the money by selling her flies at the Farmington Fair. Wiles, a Farmington resident who became interested in fly fishing when she was in middle school, sold her flies to benefit the Barbara Bush Children's Hospital in memory of her uncle, Kurt Allan Rosell. A fly fishing enthusiast, Rosell was diagnosed with cancer in 2017 and passed away earlier this year. Before he died, he became more familiar with the Barbara Bush Children’s Hospital as he received medical attention in Portland. Uncle Kurt would be proud of you. He is smiling down at you. Great job. Ashley: The world could use more people like you. I am sure your Uncle is very proud!! I think I talked to Ashley at the fair! I tied flies as a "kid" and sold them at my dad's store on Broadway "quite few years ago"
Ashley, you girl ARE AMAZING!! !